Video conferencing helps today’s companies saves money by reducing travel expenses and allowing employees to connect and share ideas and content all over the world. Video conferencing can help reduce travel time and expenses for your company, and boost productivity. It is great for companies that frequently need to communicate with customers, coworkers, and consultants across great distances. 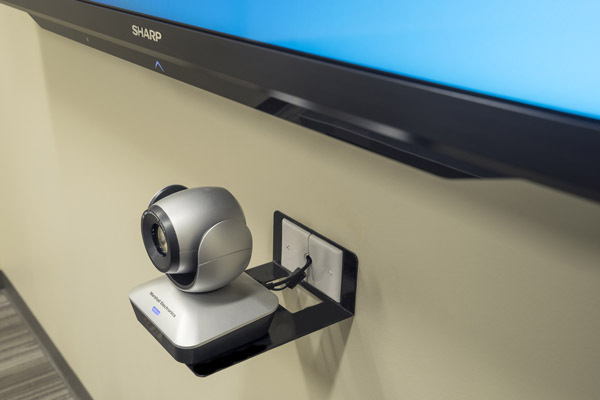 Modern video conferencing systems are more inexpensive and easy-to-use than ever before. Schiller’s can provide a turn-key solution that balances your needs and budget. Call Schiller’s today and let us design a video conferencing solution to suit your company! See also: Web Conferencing. Copyright @2017 by Schiller's Audio-Visual.